Bird migration has long fascinated its human observers. It has been subject to scientific study for more than a century, by hundreds of scientists, using increasingly sophisticated methodology. The Migration Ecology of Birds presents an up-to-date, detailed and thorough review of the accumulated information, taking account of both older and newer findings, but with the emphasis on the most recent developments. It deals with all aspects of this absorbing subject, including the problems of navigation and vagrancy, the timing and physiological control of migration, large scale movement patterns and their evolution, the particular problems that migrants face and factors that limit their populations. 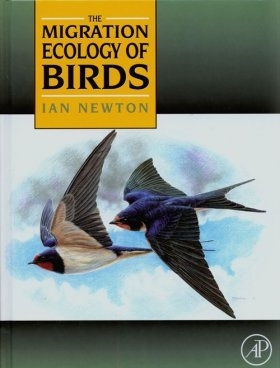 The emphasis throughout is on ecological aspects: on the different types of bird movements, including dispersal and nomadism, and how they relate to food supplies and other external conditions. Author, Ian Newton, reveals the extraordinary adaptability of birds to the variable and changing conditions across the globe, including current climate change. This adventurous book places emphasis on ecological aspects, which have received only scant attention in previous publications. Overall, The Migration Ecology of Birds provides the most thorough and in-depth appraisal of current information available, with abundant tables, maps and diagrams, and many new insights.